Rolls-Royce motor cars are the absolute pinnacle of automotive engineering, elegance and dynamism, individually tailored and assembled by highly skilled craftspeople. Maintaining the integrity of our motor cars is of paramount importance to maintaining their durability, which is why we only use Rolls-Royce Motor Cars Genuine Oil. When you bring your vehicle in for Service, you can be certain your Rolls-Royce Motor Cars is in good hands. With expertly trained technicians, no one knows your Rolls-Royce Motor Cars better than we do. We also offer Genuine Rolls-Royce Motor Cars Parts. These are the only parts specifically designed for your Rolls-Royce Motor Cars to optimize the performance of your vehicle. We even guarantee our work with parts and labor warranties! Rolls-Royce Motor Cars technicians are well-trained specialists and are kept up to date with the latest service information through technical bulletins, service tips and training programs. They are completely qualified to work on Rolls-Royce Motor Cars vehicles before work begins. 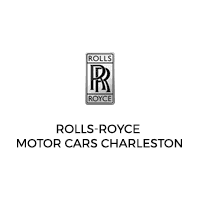 You can be confident that the service department at Rolls-Royce Motor Cars Charleston can perform the service needed to meet the maintenance requirements on your vehicle.